I love it! I love it! I LOVE IT! 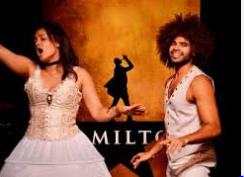 “Spamilton” Gerard Alessandrini’s magnificent new spoof of Broadway behemoth “Hamilton” has landed! It’s so smart, so funny, so witty, so pointed, it’s like an alien space craft landing. Something from another planet where everything is funnier, faster and better than what’s playing now on the (once) Great White Way(see “Holiday Inn”). Alessandrini is a national treasure. That’s all there is to it. I don’t know any writer that has made me laugh so consistently over the decades as he has. Some of the happiest times of my life have been spent watching his hysterical shows, as the send up everything onstage that is to be sent. And goodness knows, as a theater critic, you see plenty o’ basket of deplorables. And now he’s decided to take on “Hamilton” and it proves a worthy opponent for his piercing wit. 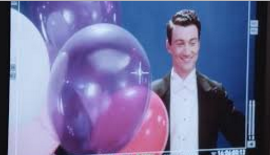 Alessandrini, of course, is the word wizard who has taken “Forbidden Broadway” through the decades. But he’s never ever devoted his divine debunking to just one show. As so “Spamilton” was born. It’s only 70 minutes worth of mirth, but those 70 minutes are priceless! And it’s not “Forbidden Broadway” by any means. Although Bernadette Peters, Liza Minelli, and Audra McDonald do make appearances. I even heard Patti La Pone slurring off stage and threatening to come on “in full war paint.” But she didn’t. But don’t worry, nearly everyone else does. And Lyn-Manuel Miranda is the main target. 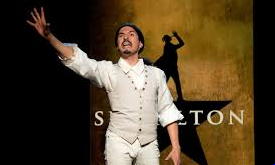 The creator and original cast member starred as Hamilton himself, and Alessandrini socks it to him in grand manner. I mean, if you’re the newly proclaimed “Broadway Icon” you’d better watch out! The slings and arrows of outrageous fortune are headed straight at you! Alessandrini skewers EVERYONE. But it’s all in good fun, with just enough malice to make its’ spiked barbs really, really sting. The cast, who all seem to have gotten off the same exact divine space ship of hilarity that Alessandrini did, is from outer space miraculous. Dan Rosales, pictured above, is marvelously rat-like and skinny as a very slimy Lyn-Manuel. Who is constantly spelling out his name. As Hamilton spells out his in the show. He describes himself, while rapping, of course, as “young, skinny and greedy” and declares “I’m not giving up my weed.” He’s also tagged “Slightly obnoxious” and ragged on that he can’t sing, so he raps. There’s also a screaming cameo by an unbilled caucasian doing a mean Jonathan Groff take-off singing “A Message from the Queen”. He complains that “Broadway has gone straight” but manages to get the entire audience to sing a refrain of “Gay, gay, gay, gay, GAY!” No, I’m not kidding, really he did. Bernadette Peters and Liza Minelli beg for tickets. As do Beyonce and J Lo. And Nora Schell plays all three Schuyler sisters at the same time and all the other women’s roles in the show. “Another hundred words just came out of my mouth” as the rapidly rapping Renee Elise Goldsberry who also won a Tony as Angelica Schuyler. No one is spared. 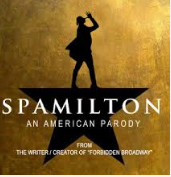 I could go on and on, and I wish “Spamilton” would, too. Right now it’s only scheduled through the New Year at the Triad, but I’m predicting it will run forever! Or at least as long as “Hamilton”! Well, it’s official, and we Oscarologists can heave a sigh of relief. Viola Davis herself has allowed her performance in the upcoming “Fences” to be campaigned for the Best Supporting Actress Oscar. So the EXTREMELY crowded and competitive Best Actress race will now go to a young’un once again. Either Emma Stone in “La La Land” or Natalie Portman in “Jackie.” Annette Bening I feel will get nominated for her performance in Mike Mills’ comedy “20th Century Woman”, but she again won’t win. Such is her fate to always lose to a younger female. 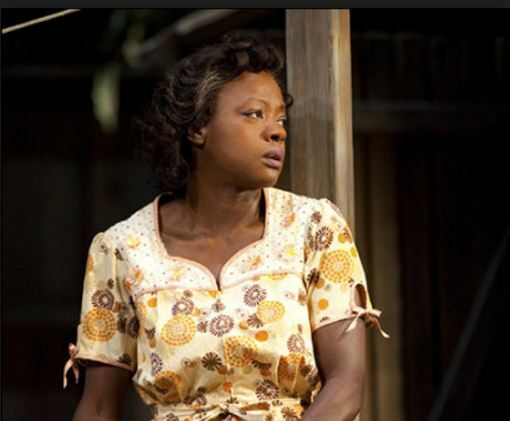 And Viola Davis, I personally feel, was traumatized by losing Best Actress a couple of years ago to Meryl Streep for “The Iron Lady.” Equally so that her co-star in “The Help” Octavia Spencer, went blithely forward to pick up the Best Supporting Actress Oscar for which she was nominated. And I think she REALLY didn’t want to go through that experience again. 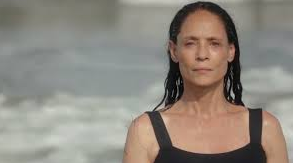 She is a great actress, one of the best there is, at the moment. It is much easier for African-American actresses to win in Supporting. 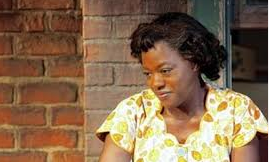 And while I saw Viola burn up the stage on Broadway in “Fences” for which she won a Best Actress Tony, I well remember the rather incredible debate that went on at the time as to whether her searing performance as Denzel Washington’s put-upon-but-faithful wife was lead or supporting. And when I saw the trailer to “Fences” a couple of weeks ago, I went “uh-oh”. It looked like Denzel(who’s also directing it) had cut Viola’s part of his wife back. It looked like a supporting performance, and evidently when Ms. Davis saw the film herself this weekend, she allowed the Supporting campaign for her to go forward. But wait! The Academy itself is the one who actually decides who goes where. The Golden Globes usually will follow the dictates of the studios in how it’s campaigned(see “the Martian” as Best Comedy or Musical winner last year) but the Academy is a law unto itself. And may put Davis in lead. Where she could lose to Portman or Emma Stone. So the Best Actress race is competitive beyond belief this year. Having seen Portman’s incredible “Jackie” I can’t see her losing to Emma Stone in a musical.Or Annette Bening in a comedy. And then there’s the lovely Black actress Ruth Negga in “Loving,” which is also an extremely nominatable performance. Both Davis and Negga could end up in Best Actress at the Oscars. And then where would we be? They’d cancel each other out? And placing the brilliant Davis in Supporting diminishes the whole film’s Oscar impact, I feel. This decision makes “Fences” seem already like an also-ran. Like Paramount doesn’t have the faith in it that it should. Things are going La La in La-La land. Very happy and proud to be raving about “Jackie,” a great new film, coming soon, and it will be up for MANY Oscars, Best Picture, Best Director, Best Screenplay, Best Actress(of course) the brilliant Natalie Portman, Best Supporting Actor Peter Sarsgaard and on and on. Best Costumes, Best Score, Best Art Direction, Best Set Decoration, and everything else you can think of! Thank you Sasha and Ryan for your masterful editing and lay-out! So happy to report on Annette Bening & Greta Gerwig, Sonia Braga & Adrianna Barrazza all appear in very strong, central roles at the NYFF. Thrilled to be reporting on the magic of K-Stew, Kristen Stewart to most of the world, at the New York Film Festival where she bewitches in two new films “Personal Shopper” and “Certain Women” with a third “Billy Lynn’s Long Half Time Walk” coming up on Friday night. And THRILLED to be at http://www.awardsdaily.com doing it! Continued thanks to Sasha and Ryan! This year’s New York Film Festival continues its’ winning streak with the debut of Kenneth Longergan’s masterful “Manhchester by the Sea,” one of the best pictures of this or any year. Kenneth Lonergan has always been one of my favorite playwright/directors and I adored his first film “You Can Count on Me” which brought Laura Linney her first Oscar nomination and established Mark Ruffalo as a screen star. Mr. Lonergan is very concerned with responsibility in sibling relationships. In “You Can Count on Me” it is a sister(Ms. Linney) and a brother(Ruffalo). And in “Manchester by the Sea”, its’ core revolves around two brothers, one of them alive(Casey Affleck) and one of them dead. The ne’er do well younger brother Lee’s world is rocked when his older brother, who lives in the small seaside town of Manchester by the Sea, suddenly drops dead.of a heart attack. Unlike most people in that situation, the late brother has written a very complete will and has a lawyer in place, so that his estate and his recalcitrant, teen-age son (Lucas Hedges) can be adequately provided for. There is a house and a boat, and the house, boat and boy are all left in the questionable care of hot-head janitor brother Lee. Casey Affleck gets the role of his career here, as the reluctant Boston plumber/superintendent, who can’t resist drinking too much and getting into fights in bars. Recovering from a tragedy of his own, which I won’t spoil here, and the break-up of his marriage to the beautiful Michelle Williams, Affleck’s surly loner Lee is hardly the person to be landed with a complicated familial situation and responsibilities. It seems insane that his steady brother has left all this mess to him, and the mother, his sister-in-law, a hopeless alcoholic is not even in the picture. So it all goes to reluctant Lee. 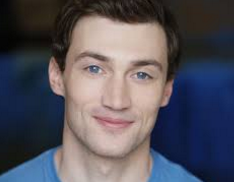 He initially wants no part of it, and he especially doesn’t want to take care of his surly nephew, Patrick, played by red-headed Lucas Hodges. who makes an astoundingly accomplished debut here. I’ve never warmed particularly to Casey Affleck as a performer, but here he shines his way in this complicated part to a possible Oscar nomination as Best Actor, winning over our hearts as he tries to win over his nephew’s, who also wants nothing to do with him. As the audience, for most the the film doesn’t either. That is one of the great triumphs of Longergan’s that we have this great conflict with the character of Lee, almost as much as Lee has with himself. Affleck has the complex job of making us hate his bad boy behavior and then love him for the innate good man that is buried deep inside his rowdy, hostile facade. And this is a great triumph that could win him the Oscar. Hedges matches him beat for beat as they banter and bicker their way to some kind of understanding against the frozen wintery landscape of Manchester. A seaside town in winter is one of the bleakest back-drops imaginable, but it perfectly suits and embodies the desolate mood of this picture which seems to be going from one funeral to another. And Michelle Williams is a sure-fire Best Supporting Actress nominee as Lee’s ex-wife Randi, whose role in a very few, but powerful scenes, has an unimaginably, heart-breaking dramatic range. But it’s not all doom and gloom in “Manchester by the Sea”, Lonergan has done the seemingly impossible and written a very humorous screenplay that is as funny as it is genuinely moving.